Refer to our frequently asked questions for important information about attending Fifties Fair at Rose Seidler House. Fifties Fair was back on Sunday 21 August 2016 at the iconic Rose Seidler House for its 21st year! The most swinging event on the calendar celebrating all things 1950s. Shop for authentic vintage wares, have your hair styled, enjoy live music and rock n’ roll dancing, tuck into gourmet food, and marvel at our classic car displays and Rose Seidler House. Grab your friends for a day of vintage fun. 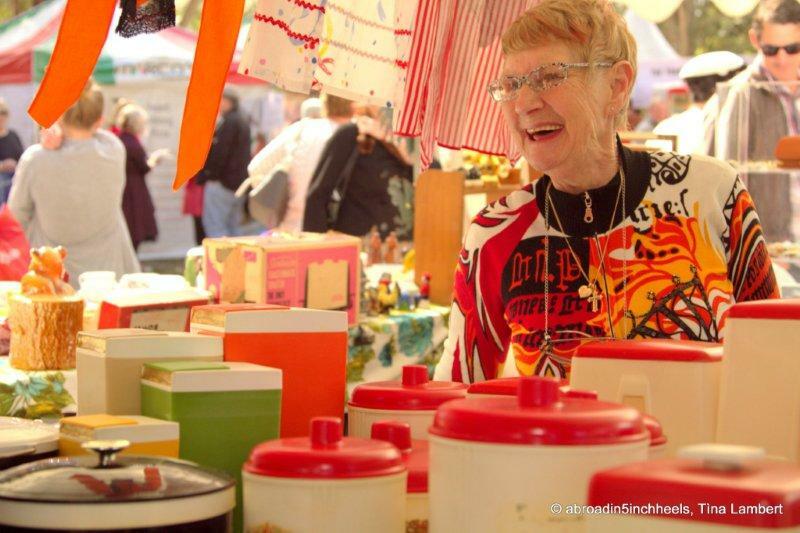 Vintage shopping & hair styling: Shop for authentic 50s fashion, furniture and vintage wares or get styled by experienced vintage hair stylists at our specially curated market stalls. 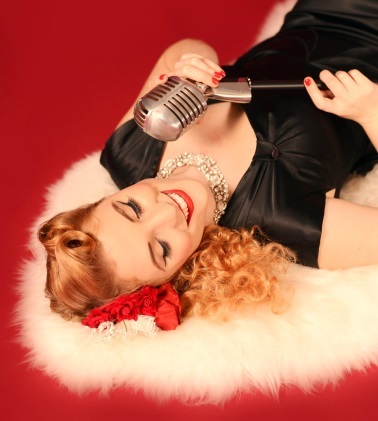 Live music & dancing: Rock n’ roll at the main stage to live bands, DJs and swing dancing demonstrations. 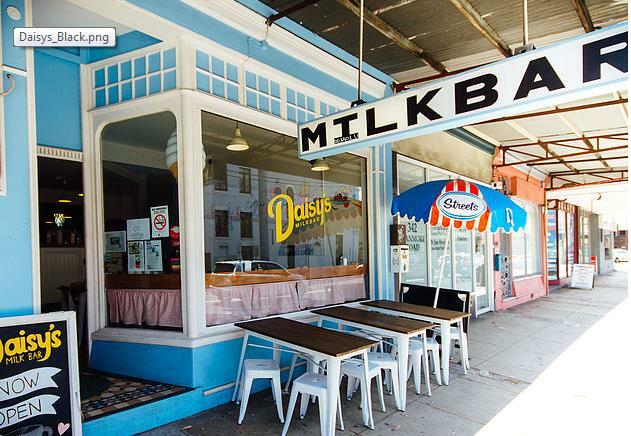 Gourmet food: Tuck into food and snacks by some of Sydney’s hippest foodies. Mid-century house & classic cars: Come inside and marvel at Rose Seidler House, Australia’s iconic 50s home, with its original furniture and fixtures and take a wander through our bigger and better than ever classic car display. Best-dressed competition: Join in the fabulous Fifties Fair best-dressed competition for the chance to win first prize. Due to the unique nature of the site, tickets are limited. Tickets do sell fast, so book early! Classic Vintage has a large range of men's and women's original vintage clothing and accessories from the 1950s and '60s, lovingly restored and ready to wear. There is an extensive selection of styles, colours and sizes to not only appeal to those involved in the Rock 'n' Roll, Swing and Rockabilly scenes but also to satisfy those who just love and appreciate the quality, style and glamour of the period. An electric range of costume jewellery collected by us along with a range of vintage handbags, suitcases and other '50s memorabilia. Love me or leave me offers a range of authentic, unique and high quality 1950s woman’s clothing and accessories. Love me or leave me loves the ultra-feminine darling floral prints and hourglass silhouettes. The fun and novel atomic prints. The timeless creations from a classic period. 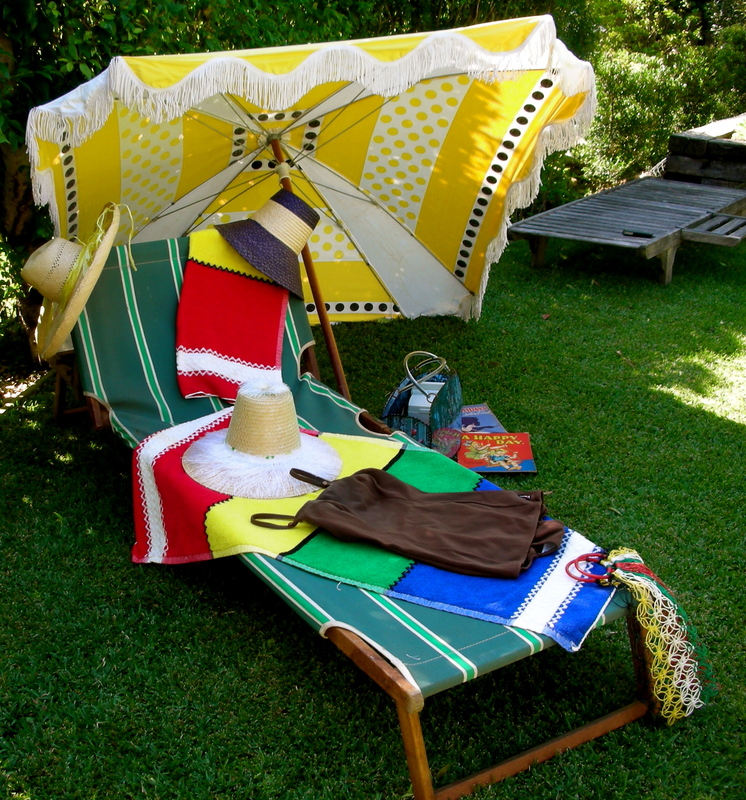 Elegant European parasols and umbrellas from a bygone era…still to be found but not for long. 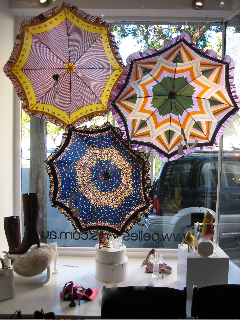 Tanya Igra's late father-in-law, Michael Igra, a talented umbrella maker from Europe, closed his Sydney-based umbrella factory in the late 1980s. Mr Igra was a forerunner in the umbrella industry in Australia and was renowned for his outstanding craftsmanship and ability to artistically combine colours, patterns and materials rarely using the same combination twice. 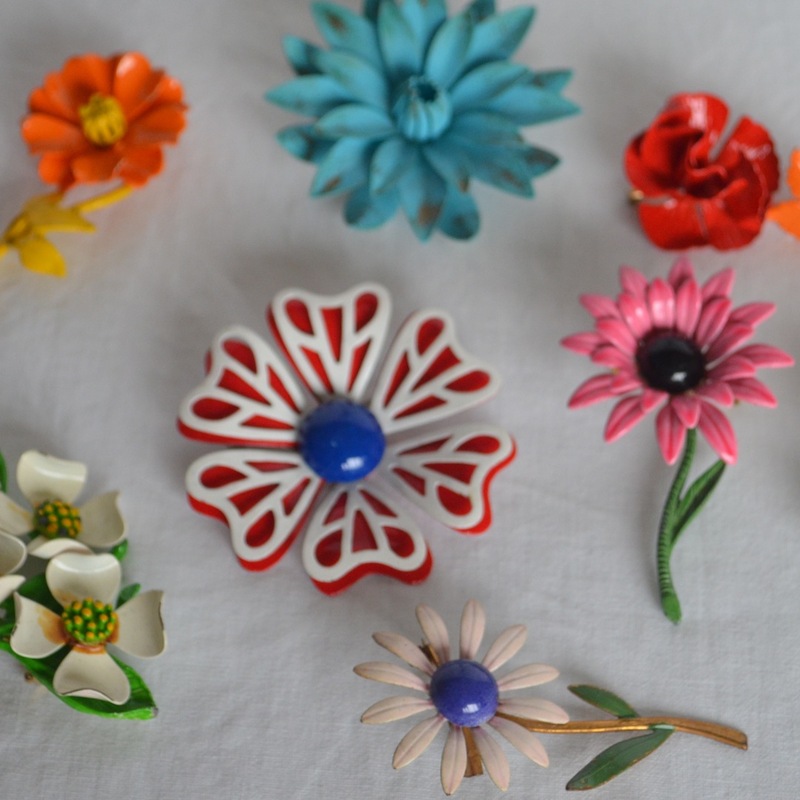 Tanya now sells the remaining stock, mostly made from the 1950s through to1980s, through ‘Miss Parasol’. The umbrellas are waterproof and come in a range of styles from frills to clean cut, decorative prints to lace, some with magnificent inner linings and others with liberty prints. The fabrics are Italian nylon and the frames are German and British proven to withstand strong wind and rain. But the real show stopper is the utterly exquisite handles including genuine horn, carved wood, Italian leather, low relief metal patterns and plastic marble finishes, some with a Bakelite and ivory effect. Mrs Peel offers a selection of unique vintage treasure, specialising in original clothing and accessories. We put aside special items throughout the year for the annual Fifties Fair such as authentic handbags, shoes and jewellery. We have been trading from our shop in Leura in the Blue Mountains for 8 years and also offer a curated selection of vintage items from our website. Jacqui and Roger love nothing better than scouring markets, fairs and op-shops for those one of a kind, genuine finds. I am an experienced seller of beautiful authentic, vintage jewellery, sourced from the best auction rooms and jewellery dealers in the UK and US. Specialising in signed collectable clip-on earrings, brooches, necklaces and bracelets from the world’s best Costume Jewellery Designers including Trifari, Coro, Weiss, Monet, Kramer, Napier, Dior, Givenchy, Miriam Haskell, Sarah Coventry, Kremntz etc. I offer a range of prices to suit all budgets and designs to suit every style aesthetic from the understated elegance of classic pearls to the wow factor of rhinestone encrusted Hollywood glamour. Rudi Rocket specialises in mid-century furniture, lighting, art and collectables, as well as the more unusual industrial pieces of the era. Rudi sources and hand selects items from Australia and abroad to offer a curated selection ranging from designer pieces to beautifully crafted studio works. At Rudi Rocket we also love to mix atomic design, lovable kitsch and mid-century modern to create eclectic interesting interiors. The Vintage Drawer specialises in quality vintage clothing and accessories for women with a focus on the '40s and '50s eras. 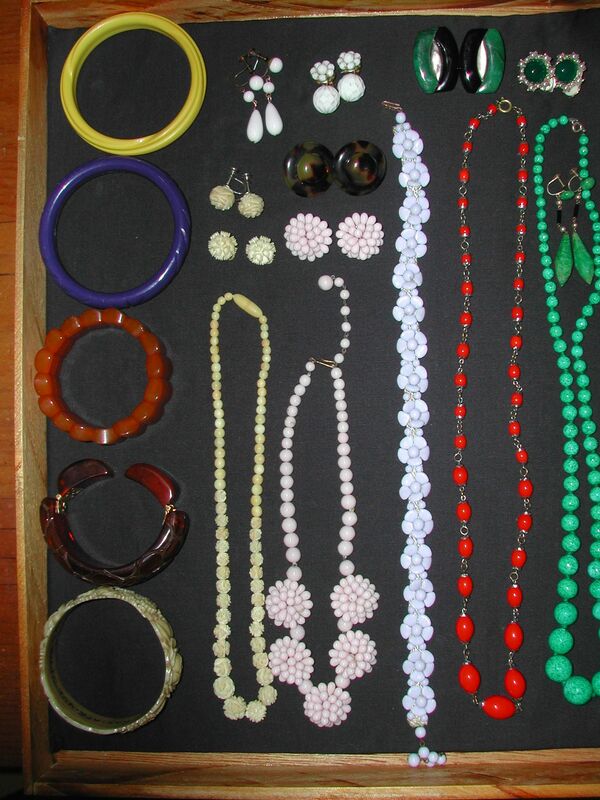 However, there are also pieces from the early 1900s - 1970s. From casual blouses and day dresses to formal evening wear, each garment is chosen with discernment, integrity, thought, respect and passion. The Vintage Drawer can be found permanently at 488 King St Newtown in Sydney. What do I sell? Many Interesting Things. As you fish through the Glomesh, gloves, shoes and bows. And rulers and cufflinks and Manfabulous stuff. And ephemera aplenty, remember Little Golden Books? These things from the past still delight me and you. Treasurehounds Collectibles, a portal to the best of the past, brings vintage treasures to the present. Jo & Bernice have been treasure hunting for over 15 years, offering their finds across Australia but always saving the best mid-century pieces for the Fifties Fair. Sterling Hairdressing Parlour & Barber Shop is located at Shop 3, 29 Brisbane Street, Surry Hills NSW. We specialise in Heritage cutting and styling as well as contemporary cuts and colours. Boogie Bop Dames is all about you! We specialize in 1940s & 1950s hairstyles, makeup & full vintage themed 1950s vintage re creation photo portraits! 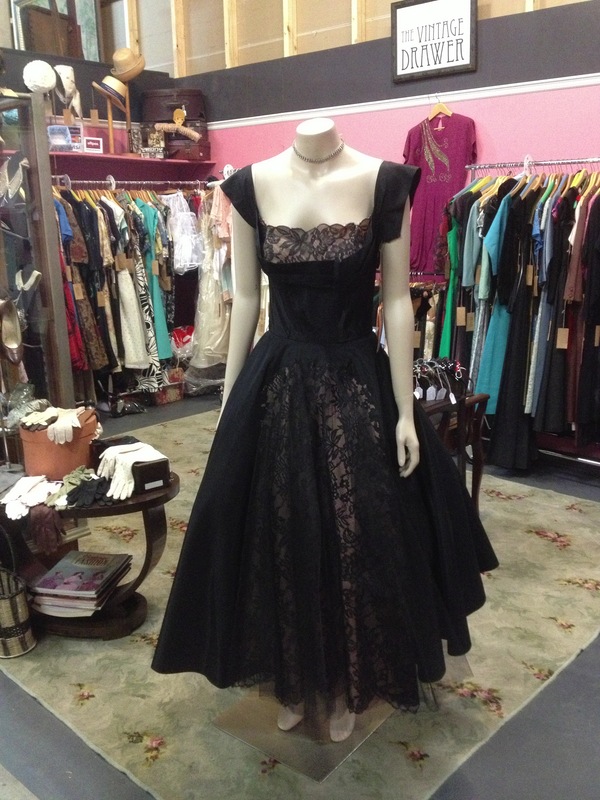 We are the place to be for all of your vintage glamour needs. 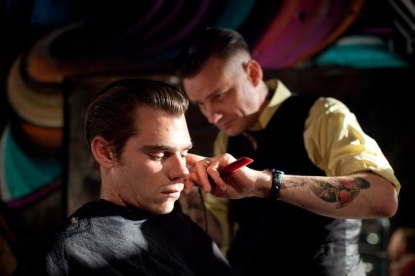 With over 30 years experience in '40s/'50s styling you can be sure that our services are second to none! 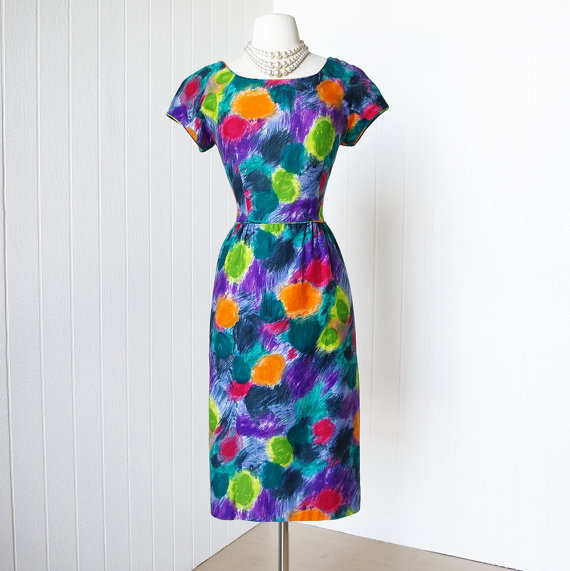 May Clementson will be selling mid-century homewares, clothing, furniture, ceramics, glassware, dress patterns and fabric. Ken Neale of Twentieth Century Modern (Darlinghurst) will be at the Fair selling a range of mid-century furniture, glassware and ceramics. The Sydney Morning Herald’s 2013 ‘Chef of the Year’ winners, Porteno’s Ben Milgate and Elvis Abrahanowicz, will be firing up the burners again with a menu inspired by traditional Argentinian barbecues. The Hi-Boys are an up-and-coming band that have been rocking the scene for two years now. In this short time they have performed at the biggest rockabilly festivals in Australia, including Cooly Rocks On, Greazefest, Camperdown Cruise, and Ballarat Beat. 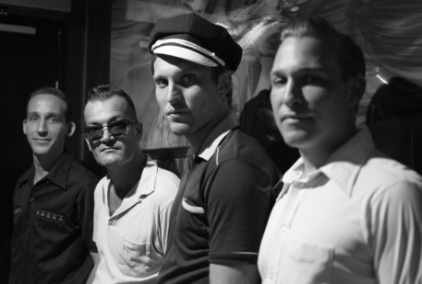 The Hi-Boys are made up of brothers Scottie and Dean Rehbein, Paulie Burke and Dean Kendal. The band has been said to resemble the sound of a traditional 1950’s Rockabilly band. Their music combined with a wild stage presence caught the eye of Arthur Mats who put them on the radar of the world renowned rock and roll label WILD Records based in LA, USA. January 2014 saw the band get signed with WILD Records. The Hi-Boys set their sights on overseas and in 2014 played Get Rhythm Go Wild in Germany and Drive In Barn in Neatherlands before going to LA to record their debut album “SHAKE” on the label WILD records, with a new 45” record released in April this year. 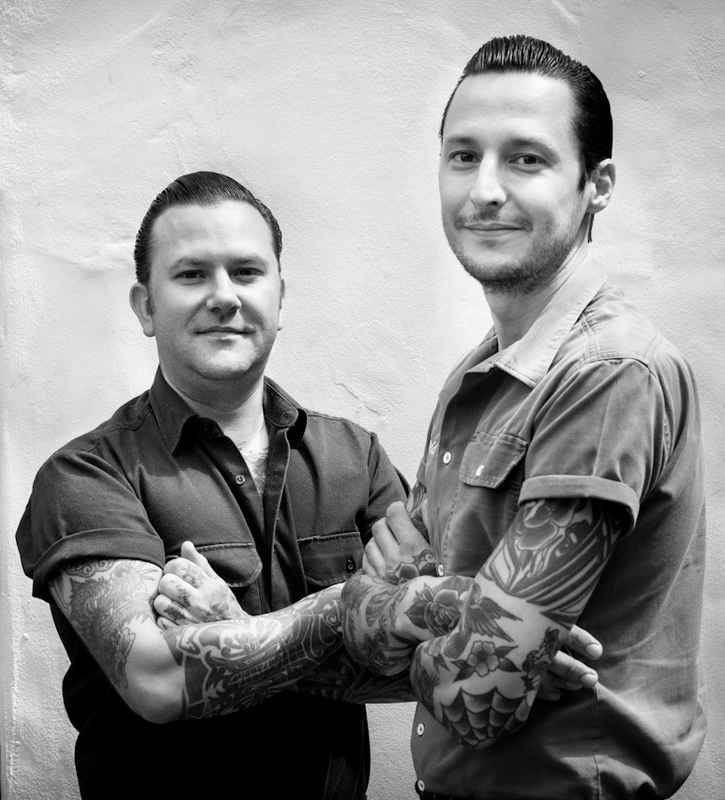 In 2015 The Hi-Boys got a sponsorship from Australian pomade company Kingbrown Pomade which helped get a wider fan base before going back to America playing in LA and at Viva Las Vegas Festival, playing alongside some of the biggest acts in the rockin’ scene and also started recording their second album. The guys have played all over Australia and will be playing more festivals and shows during the year, as well as planning another European tour soon. The Hi-Boys are excited about all the plans and events coming up and will be impressing fans at every show. Their music is available on their website as well as t-shirts and other merch, and available on iTunes and other online stores. That Red Head is Sydney blues-abilly deluxe. Lozz is as wild on the mike as she is on the drums. Hitting those rock’n’roll wildcat vocals while never losing a snappin’ backbeat. Yes, folks, we are talking Wanda Jackson upstairs and Gene Krupa downstairs. 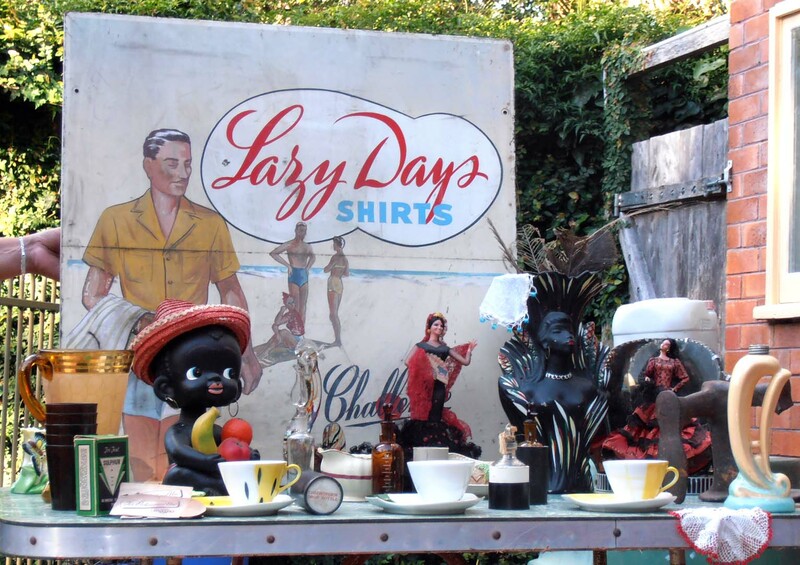 Ask any of the rapt audiences That Red Head has thrilled at Sydney’s retro fairs, '50s days, street festivals, rock’n’roll theme bars and beyond. They keep coming back. That Red Head is rapidly building up a head of steam as one of the acts to watch. 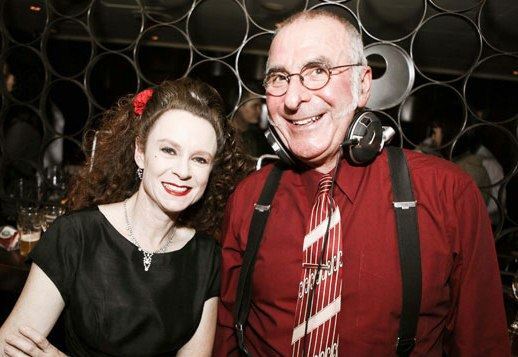 We also present a monthly event called “Jump, Jive and Wail” held at The Flynn Hotel in the Sydney CBD on the third Saturday of the month. We play a diverse mix of jump blues, swing, rock ‘n’ roll and rockabilly which is very popular with dancers and non-dancers alike. We have been successfully running “Jump, Jive and Wail” for well over 5 years now. The event has grown in attendance over the years and is a fun, exciting and great night out. We operate a free vintage shuttle bus on the day between Turramurra Station and Rose Seidler House, thanks to Sydney Bus Museums. See FAQs for more information.